Samana vayu is the balancing and meeting point of prana and apana vayu. 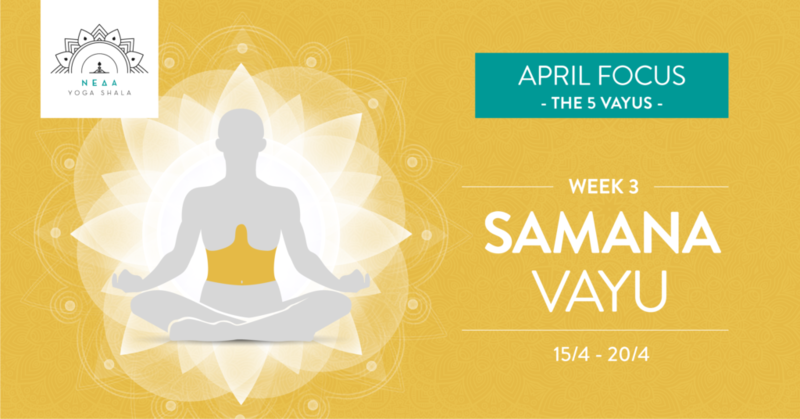 Midway between the pelvis and the thorax, in the area of the belly with the belly button at the centre, samana is responsible for digestion on the physical, emotional, spiritual and energy level. The way it flows is best described by a spiralling motion pattern, from the periphery towards the centre of the body, and we can visualise it as a stirring force around the belly button, the purpose of which is to assimilate Prana – the life force. 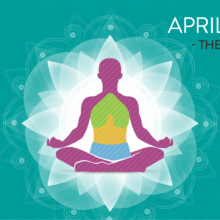 It is responsible for the collection, processing and absorption of the energy we acquire through breath and food, but also through all that we perceive with our sensory organs. In other words, when the samana works in a healthy way, we keep what we need and we shed what is not useful. It means that we digest and process all that we consume, not only on the physical level, but on the level of experiences, thoughts and emotions, converting them into positive action. If the samana vayu does not function properly, we experience metabolism and digestion problems, lack of appetite, or obesity, malfunctions of the stomach, liver, pancreas etc., and on a secondary level, failure to understand and to process thoughts and experiences. 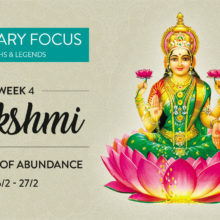 The chakra that corresponds to samana vayu is the Manipura chakra, closely connected to the element of fire and its power of transformation. The union of Prana and Apana inside the energy body awakes the Sushumna Nadi, the energy channel along the spine. Cleansing of this channel, for the unencumbered circulation of the Prana is the primary goal of the yogi towards the stabilisation of the mind. 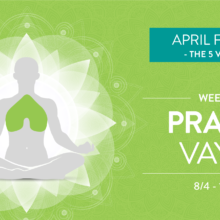 In order to connect to the samana vayu, it is helpful to direct our awareness and our breath towards the centre of the body, by filling the belly area with breath to all directions when we inhale and then emptying it completely, by exhaling for an equal amount of time. The belly button lock, the uddiyana bandha, is a practice which exerts pressure on the belly, supporting digestion and improving its circulation among the organs. A visualisation that helps develop the feeling of inner fire, with the properties of heat and transmutation that we seek, is to place a flame or a sphere of light behind the belly button, at the area of the solar plexus, and feel it expand and grow as we inhale, and then consolidate as we exhale. 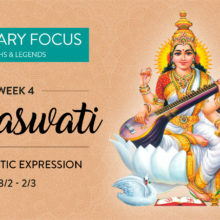 Some of the asanas which put the focus on the samana vayu by awaking the element of fire are twists, such as parivritta parshvakonasana, poses which activate the core, such as the plank, backbends where the belly touches the ground like shalabhasana, and forward bends like paschimottanasana.